Lady Cop Makes Trouble is Amy Stewart’s sequel to Girl Waits With Gun. You can read more about Girl Waits With Gun here. Constance Kopp now works for the Sheriff department in Bergen County, New Jersey. She has the same duties as any other deputy working for the Sheriff, including arresting criminals. Constance even goes with Sheriff Heath to arrest a man. But her life soon changes. One of the inmates at the jail is sick and has been sent to the hospital. The doctors at the hospital are not sure what is wrong with the prisoner and to complicate matters, he only speaks German. Constance is the only person at the Sheriff’s office that speaks German, so she accompanies Sheriff Heath to the hospital. However, their trip to the hospital will not be as easy as they thought it would be. When they arrive to the hospital, the scene is chaos. A train derailed and there are lot of injured people to deal with. The hospital staff is rushing around trying to help the wounded. Sheriff Heath and the other deputies help the staff with the patients. Constance goes to visit the inmate alone and during their visit, the lights go out. The hospital is pitch black. And in all of the confusion, the prisoner escapes the hospital. Constance is devastated and she wants to make things right. She wants to go after the fugitive. Also, Constance knows that no woman will be hired to work for any police force if the story is printed in the newspapers. However, Sheriff Heath assigns Constance to watch the female inmates at the jail. He does not want Constance involved in the manhunt. 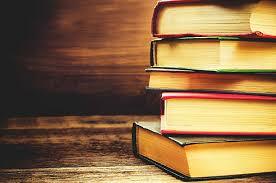 And, he does not want Constance’s name in the papers for allowing the inmate to escape. The rest of the deputies in the department look for the fugitive. Most of their time is spent watching train stations and the inmate’s brother’s apartment. But Constance will not just stand by. She wants to correct the mistake that she made and find the missing prisoner. So Constance goes off on her own to find him. Her search takes her to New York City where she chases down clues and conducts interviews. Constance is not only hunting down a fugitive, but she is racing Sheriff Heath and his deputies. Can she find the missing inmate before the Sheriff’s department? 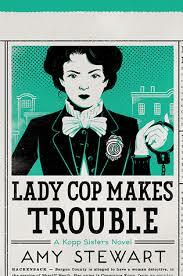 Lady Cop Makes Trouble is available in print and audiobook.